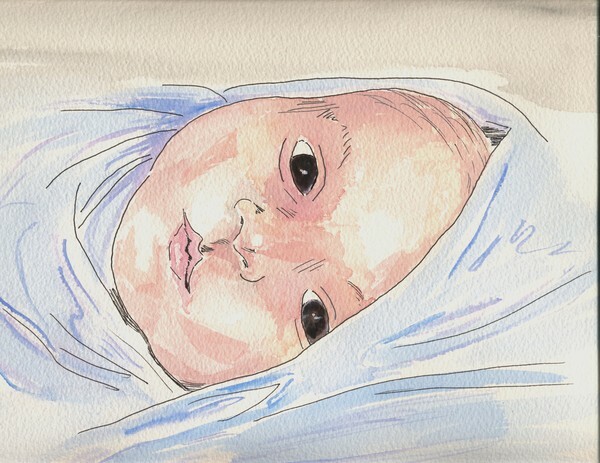 Commissioned portrait of infant Carlos Robert Linton. What a cute kid. Looks like his Dad!